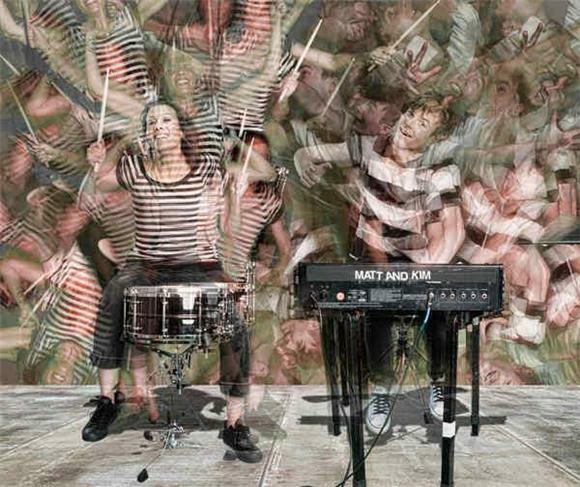 Brooklyn-based synthpop act Matt and Kim have released footage of a Myspace secret show they played at Burlington, VT's Higher Ground this November 2nd. The group lives up to their reputation for energetic live performances, delivering a high-energy rendition of "Silver Tiles," which they introduce as the first song they wrote together. Like a typical Matt and Kim jam, the tune's energy never falters. Matt and Kim - "Silver Tiles (live from Secret Shows)"